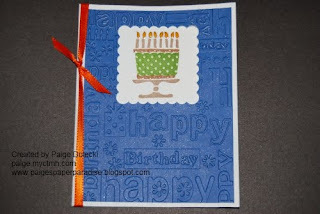 ...centered the cake stamp through the window and stamped. 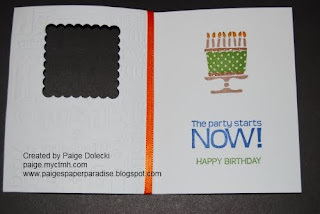 Next I opened up the card and added the sentiments. To finish it off I added a bit of liquid glass to the candle flames and the cake icing and (just because I am very fond of orange) added a ribbon to the front!